How to be sure that your downloaded file is intact. 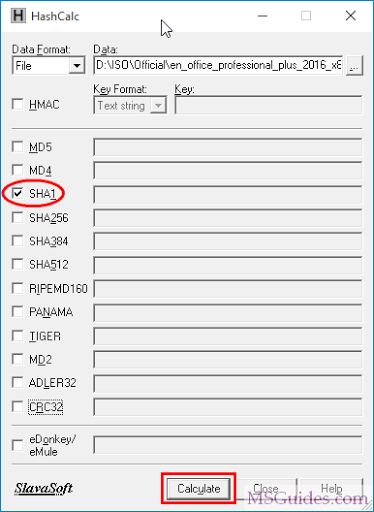 The simple way is to verify file integrity using SHA-1 hash or another. You need to compare the checksum of that file to the hash of the original file. In order to do that, you will need a checksum tool. I would like to introduce you a small utility named HashCalc. 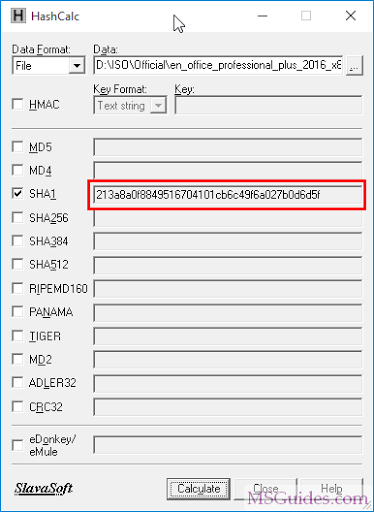 The strength of this tool is to support multiple types of cryptographic hash such as MD5, MD4, SHA1, SHA256, SHA384, SHA512, RIPEMD160, PANAMA, TIGER, MD2, ADLER32, CRC32… You can get HashCalc tool here. Step 1: Open HashCalc tool and select the file you want to verify. If your file is too big, this may take a while. Step 2: Compare to the hash of source file. *Note:* If any discrepancies are found, the file can’t be used because of being corrupted. Hi Guang, I am a german Physician running a home office. I got some windows 10 licences for my iMacs. whatever went wrong I could not activate windows 10 I have tried several Licens keys. it did not work. Today I have installed MS office. I want to change the language from Chinese to English..give me suggestion to change the language..
but this only conforms that the downloaded file is intact. 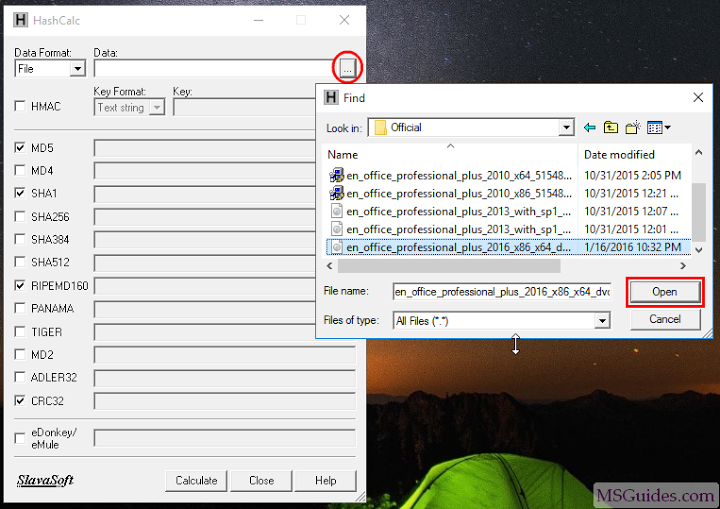 And you told here( https://msguides.com/microsoft-software-products/get-latest-versions-windows-office.html) that this method can be used to verify if the files are original microsoft software or not. How can we know that the softwares you provided (thanks for that) does NOT contain any harmful virus, worm or malicious malwares???? How to deactivate the MS Office 365 command prompt? I’m interested, because I already installed, but my cousin wants to remove it, when I uninstall and reinstall the setup of MS Office 365, the product key activated always.